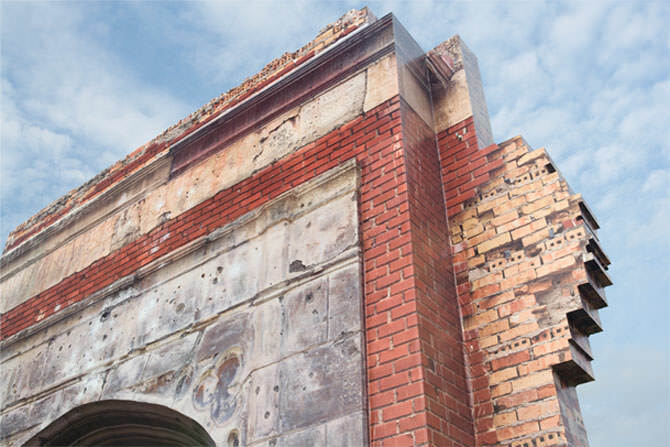 Reclamation was a reproduction of the last remaining façade from the ghost town of Metropolis, USA. Metropolis was founded in 1910 as a real estate venture by The Pacific Reclamation Company, though due to insufficient water rights, by 1925 the town was largely abandoned. 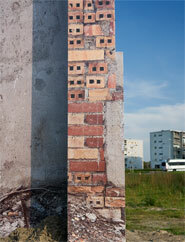 The last and most permanent building in Metropolis, the Lincoln School, has almost completely crumbled to the ground. 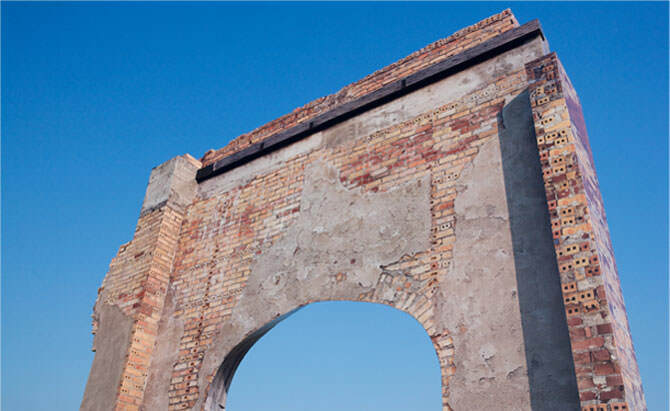 Pockmarked with bullet holes and corroding in the harsh desert weather, only the entrance remains standing in the shape of an arch. 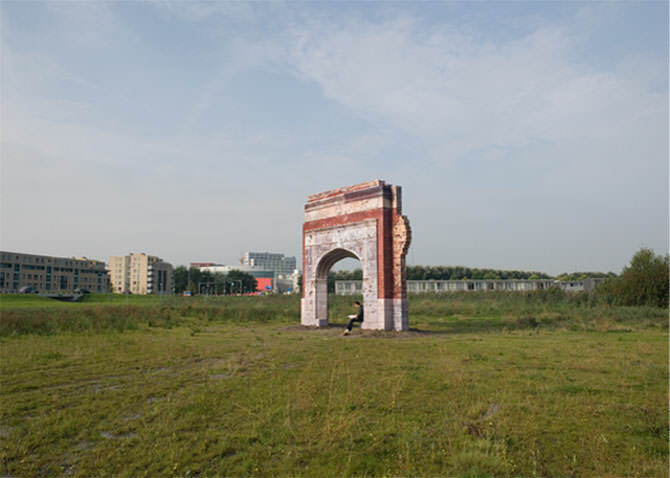 This archway was reconstructed at 1:1 scale as a public outdoor architectural installation in Almere, the Netherlands. 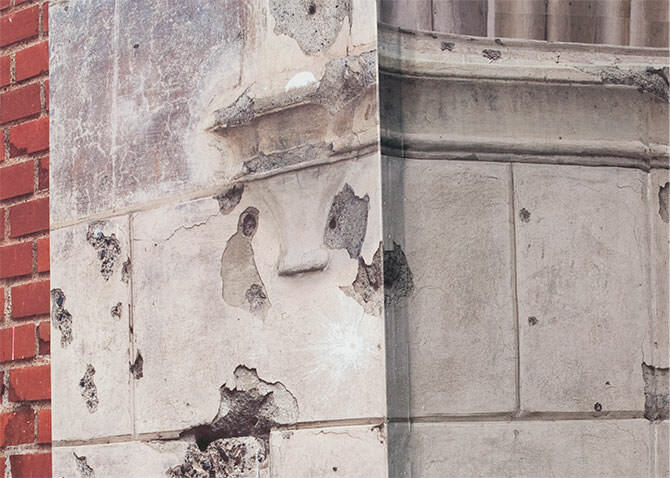 A three-dimensional replica of the decaying Lincoln School was clad with high-resolution photographs of the original. 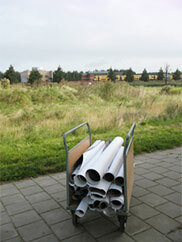 The work was a combination of architecture, photography and sculpture and was fabricated from standard outdoor advertising and construction materials. 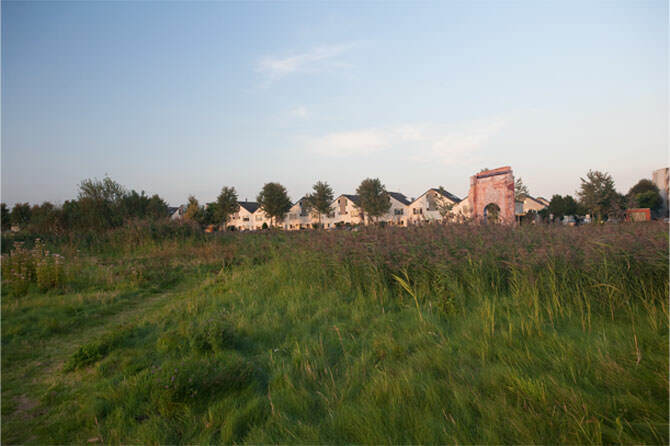 Reclamation was located on SITE 2F7, the last remaining undeveloped plot of land in Almere's city center, and as open for view at all times.